When you search “retirement plans” in Google, you’ll get so much information it’s really hard to figure out where to get started. We found advice on all possible topics that range from advantages and types of plans to contributor’s options and withdrawals. One thing all writers and financial advisers agree is the fact that you should take retirement planning very seriously, no matter what your age is, helping you be ready to retire once the time comes. Before embarking on setting up a plan for yourself, you must decide on your future goals and make a serious commitment to stick to the plan. It is important to determine what kind of life style you expect and activities you’ll engage in. It is very possible that you might continue working into your retirement age so a solid and serious plan should give you liberty to hold jobs related to your hobbies and interests, on your conditions, rather than having to work for the lack of choice. What are the benefits of retirement plans? Small business owners or independent contractors can reduce their taxes by their contributions to retirement plans. As long as your contribution stays in a retirement account and earns income, you do not have to pay taxes on it until you start to withdraw money. That will provide another benefit because you will most likely not be working as much as during the years when you were contributing to your plan so the withdrawals will be taxed at a lower rate (you income will be smaller). The government not only wants the citizens to ensure their well being during the retirement age, it also encourages it. Small business owners can qualify for a pension plan start up cost credit. Form 8881 lets you determine the amount you can claim as a credit for setting up some kinds of pensions or retirement funds. Employees can count on similar benefits that include reduction of taxable income, tax on interest earned that is postponed until retirement, or ability to transfer the funds from one employer to another. Additionally, an employee can claim a Saver’s Credit; the amount of credit is determined using Form 8880. Savings Incentive Match Plans for Employees or SIMPLE IRA Plans. Simplified Employee Pension or SEP Plans. Salary Reduction Simplified Employee Pension or SARSEP Plans. 409A Nonqualified Deferred Compensation Plans. I guess the easiest option is when an employer offers certain retirement plan and you simply participate in it (not to mention your contribution is often matched at least to certain level). It gets challenging for independent contractors, small business owners, or individuals whose companies don’t offer any of the above mentioned plans. All burdens of selection lie on your shoulders. To get started, I would poke around the IRS website and their Retirement Plans Navigator. This will get you accustomed to some vocabulary and help you experiment with different scenarios. Whether or not this tool gives you all the answers, my second step would be to talk to an accountant and have him/her help you set up a plan. I would share my findings and would like to compare that to what he/she has to offer. You can also reach out for help to a financial advisor, but I would first try to have one recommended rather that picking the first one found in Yellow Pages. 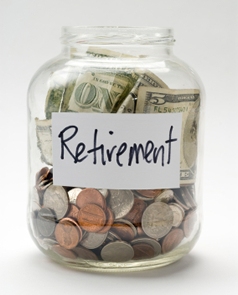 There are rules regarding withdrawals from your retirement plans. In many cases you are locking up that money for a long time and this fact should be very clear to you. You can access your money or qualified distributions without penalties (usually 10% of what you withdraw plus federal income tax) once you are 59-and-half years old. There are exceptions to early withdrawals without the penalties that include disability, covering medical bills, payment of school tuition, or purchase of your first house. The exceptions come with limits so look them up before withdrawing money. Make sure he/she listens to you and offers options that fit your needs and risk level. If you don’t understand the investment or the advisor cannot easily explain it, don’t do it; risk taking in retirement accounts has been on the rise and place for that is in Las Vegas, not your investments (not to mention it’s hardly ever ends well). Know the tax implications of the investments made on your behalf. The adviser should help you create a financial plan for you based on your contributions, needs, and expectations; this will help you understand where you’re going and what to expect; if the adviser is only interested in selling you a product, perhaps he/she is not that interested in your future and perhaps you should consider picking someone who cares. Retirement planning should be done diligently with care and should be backed up with a full commitment from you and your partner. Under any circumstances it should be considered as an emergency fund (which should be first in line before you set up your retirement plan). Everybody deals with unexpected circumstances and perhaps you have no other option but to dip to the plan. Just keep in mind that it will trigger penalties and if you do it often, it will make a mayor dent into your personal finances and future financial independence. And that’s the last thing you want to do to your retirement plan.